Dans la mouvance des nouveaux projets d’habitat éco-responsables, il faut aujourd’hui compter avec celui de Stefano Boeri, qui a choisi de mettre les végétaux au coeur de sa démarche architecturale. Le projet Vertical Forest de l’architecte italien Stefano Boeri – en collaboration avec le studio Laura Gatti et Burohappold Engineering – verra le jour en 2017 dans les villes de Milan et de Lausanne. 40 000 mètres carré de surface pour 3000 mètres carré d’espaces verts. 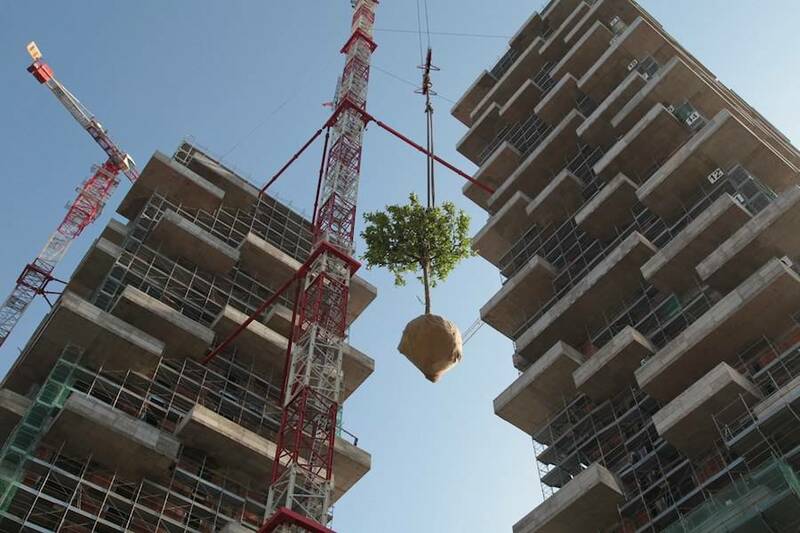 L’objectif du projet est en effet d’implanter 100 arbres sur chaque tour de 117 mètres chacune. Vertical Forest is a model for a sustainable residential building, a project for metropolitan reforestation that contributes to the regeneration of the environment and urban biodiversity without the implication of expanding the city upon the territory. 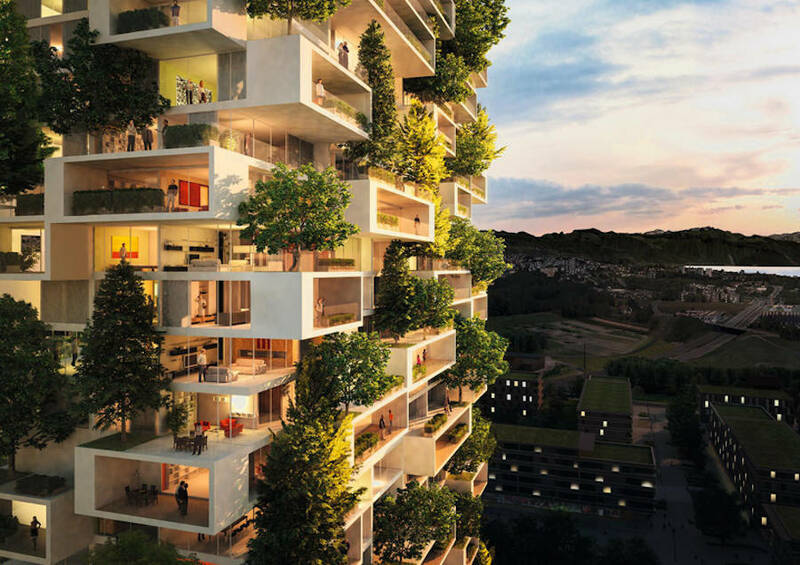 It is a model of vertical densification of nature within the city that operates in relation to policies for reforestation and naturalization of large urban and metropolitan borders. 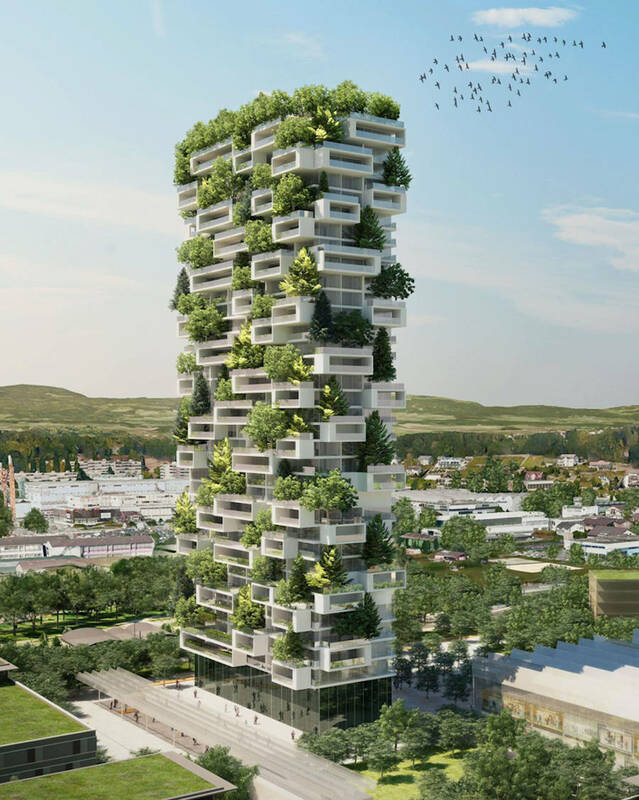 The first example of the Vertical Forest composed of two residential towers of 110 and 76 m height, will be realized in the centre of Milan, on the edge of the Isola neighbourhood, and will host 900 trees (each measuring 3, 6 or 9 meters tall) and over 2000 plants from a wide range of shrubs and floral plants that are distributed in relation to the façade’s position to towards the sun. On flat land, each Vertical forest equals, in amount of trees, an area equal o 7000 m2 of forest. In terms of urban densification the equivalent of an area of single family dwellings of nearly 75.000 m2. The vegetal system of the Vertical Forest aids in the construction of a microclimate, produces humidity, absorbs CO2 and dust particles and produces oxygen.